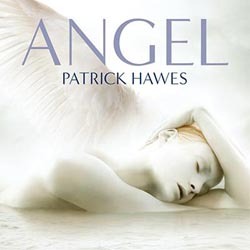 On March 3, Decca Records released ‘Angel’, the new album from Patrick Hawes. This year being the Centenary of the start of WWI, Hawes explores the idea of the guardian angel with specific attention to the legend of the Angel of Mons. This album marks the beginning of a deal between Hawes and Decca Records. "I had an idea for an album about angels, which I don't think has been tackled in the classical music world before. Then my brother Andrew mentioned to me the Angel of Mons, which was an apparition that took place right at the beginning of the First World War. I was fascinated by it and I did a lot of research, and I realised that the Angel of Mons gave me a specific link between the centenary and my concept for the album." Pre-orders of the album are available on Amazon and iTunes.